Purchased from a junk box at a show for 20p, this is one of those cheap generic unbranded Chinese-made plastic cars sold in large batches as model railway scenery. 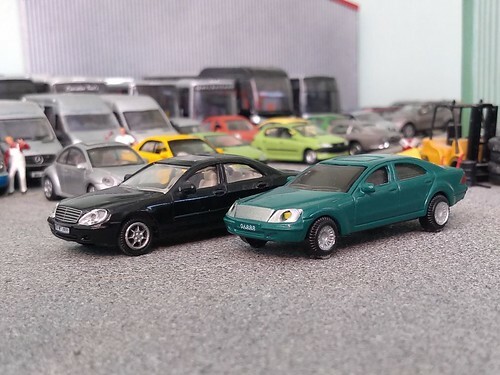 It seems to be an unlicensed copy of the Cararama/Automaxx S-class without the Mercedes grille, and reminds me of the SsangYong Chairman, a Korean licence-built car using the platform of the old W124 E-class with bodywork similar to that of the S-class. The lights appear to be LEDs but I have no idea if they work.